Brigard Urrutia’s partner since 2011. Mr Quinche has more than 13 years of experience practising in the areas of structured finance, project finance and corporate/M&A. He has acted as legal counsel to borrowers, project sponsors and developers, lenders and financial institutions in various national and international corporate and project finance transactions, including, among others, commercial bank loans, syndicated loans, financings with multilateral institutions, financings with export credit agencies and financings through capital markets. His project finance experience includes advice to either financers or project developers in toll road projects, ports, oil and gas transportation infrastructure, LNG facilities, airports, power generation facilities, power transmission infrastructure, public transportation infrastructure, telecommunications infrastructure, downstream, midstream and upstream oil and gas infrastructure and, in general, public infrastructure developed under PPP programmes. 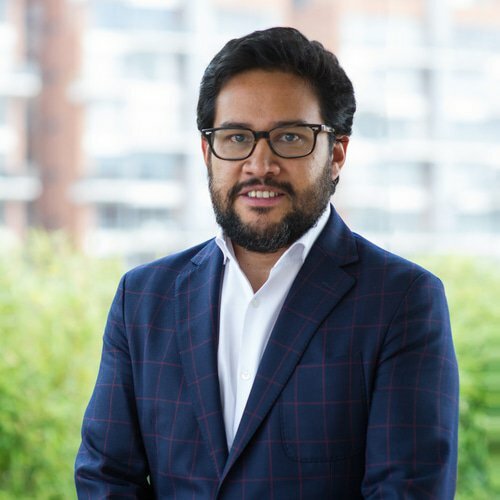 Mr Quinche obtained his JD from Colegio Mayor Nuestra Señora del Rosario, has a degree in corporate law from Universidad de los Andes and an LLM degree from New York University School of Law. He has been admitted to practise in both Colombia and New York.